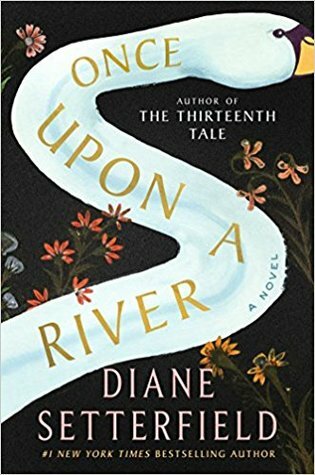 ONCE UPON A RIVER BY DIANE SETTERFIELD – Books, Books and More Books! From the author of The Thirteenth Tale comes this offering from Setterfield. In a small village on the Thames folks gather at the local pub to tell stories. And what storytellers they are. As they are warming themselves and having a drink or two the doors burst open and a monstrous looking fellow with a drowned child in his arms falls into the room. The little girl is obviously dead. The poor man has had some type of accident leaving his face banged up and his eyes swollen. As nurse Rita tends to his wounds and leaves him to rest she checks on the child. After hours, the little girl is obviously dead. No pulse. No breath. Until suddenly she breathes. And is alive. Or is she? There is so much wonderful folklore and storytelling going on in this tale! Storytelling is a gift. And this was a really good one. Part fable, part fantasy and pure enjoyment from beginning to end! It’s very atmospheric, I’m not sure if the writing is keeping me as interested as I thought it might! Your review tells of a compelling read. Love the title also. QUITE A STORY OF STORIES…! Sounds like a good one, too bad I missed it. I will have to watch my library for this one. Nice review.